Since 2007, J. Mota Services has helped homeowners in Newton Upper Falls renovate garages into attractive, safe and organized spaces. Whether you're looking for a better storage solution for all of your unused "stuff" that's begun to clutter, or you want to enhance the living space of your home by renovating your Newton Upper Falls garage into an additional bedroom, mother-in-law suite, home office or at-home gym, the knowledgeable experts at J. Mota Services will get the job done right! Looking for an affordable way to improve the quality of your life and living space? Garage renovation in Newton Upper Falls is one of J. Mota Services's specialties. We offer a wide variety of garage renovation services in Newton Upper Falls to ensure all expectations are met in a timely manner. 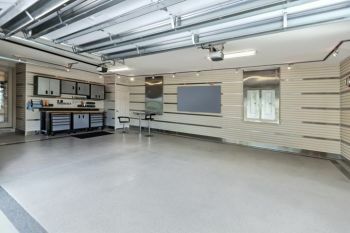 Our attention to detail, quality craftsmanship and 12 years of handyman experience provide faultless results for your newly renovated Newton Upper Falls garage. Let J. Mota Services help to improve your day-to-day living needs by transforming your cluttered or unorganized garage into a fully functional space! Call (781) 281-9282 with your Newton Upper Falls garage renovation wish list. We will work with you to discuss the plans of your garage renovation in Newton Upper Falls and create a design that best fits your wants a needs. We look forward to serving you!